The original recipe was passed along to me by a friend, I believe in the late 90’s, and still gets pulled out at least once a year, and usually for our hay boys. 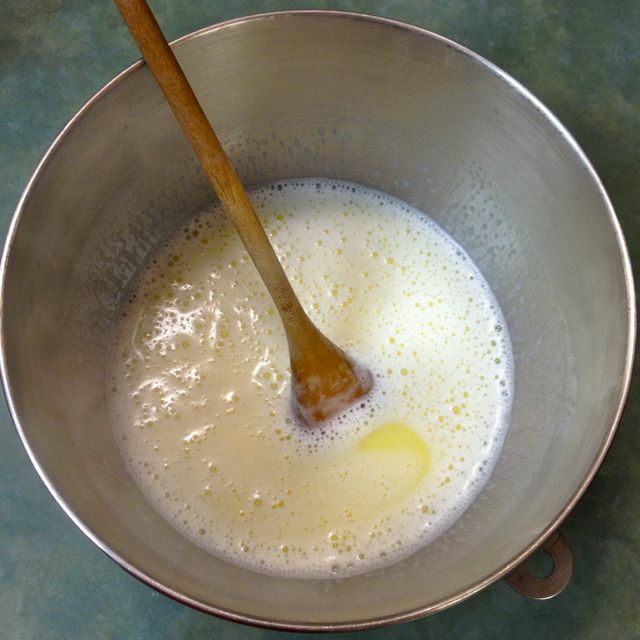 Warm the milk with the sugar and 1 c of butter, until the butter has melted. Pour into the bowl of a mixer, and let cool until just warm. While this is cooling, mix the yeast with the lukewarm water and teaspoon of sugar and let sit to proof. 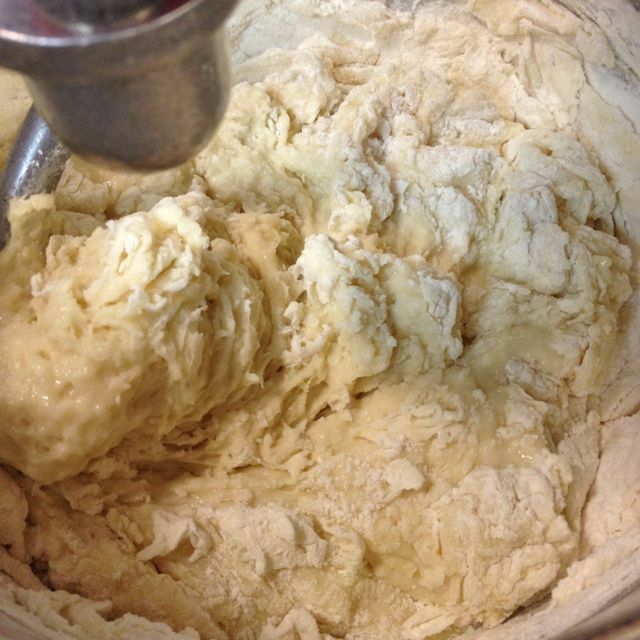 When the milk mixture is cooled, and the yeast proofed, whisk the two together with the egg, until uniform. Whisk in 3 cups of the flour. 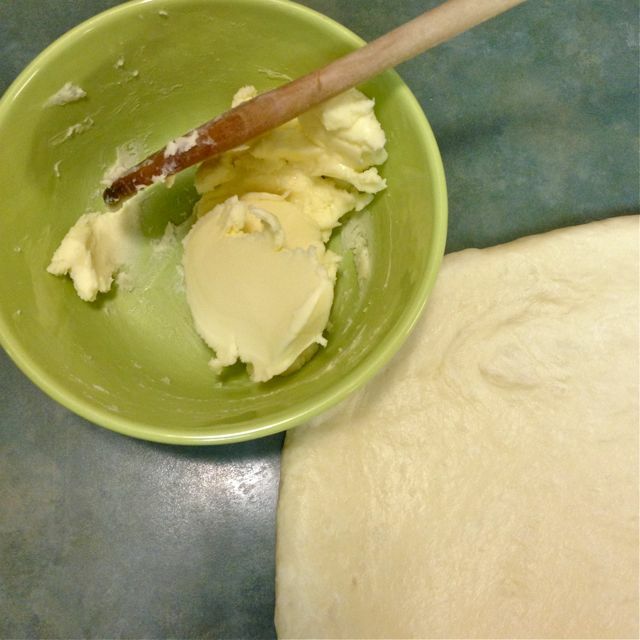 Add two more cups of flour to the wet dough, and start to knead using the dough hook. Add in the last cup of flour in two parts, until all is incorporated. 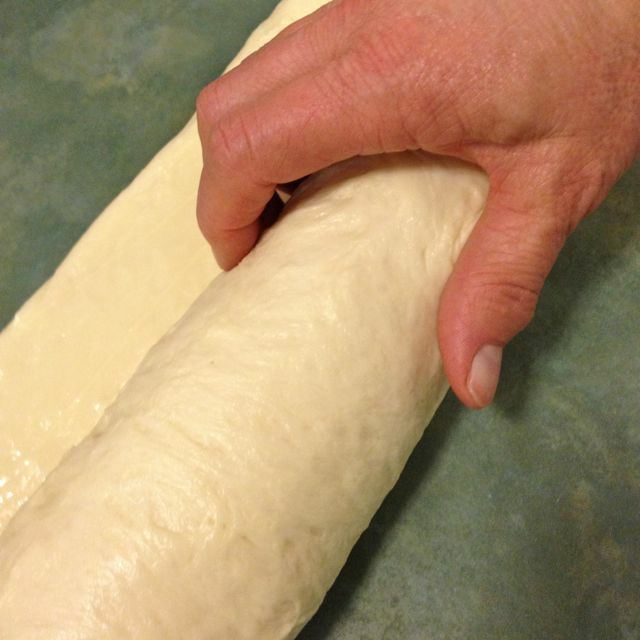 This makes fairly wet dough, so don’t expect it to firm up as the dough for bread would. Knead for at least 6 minutes. 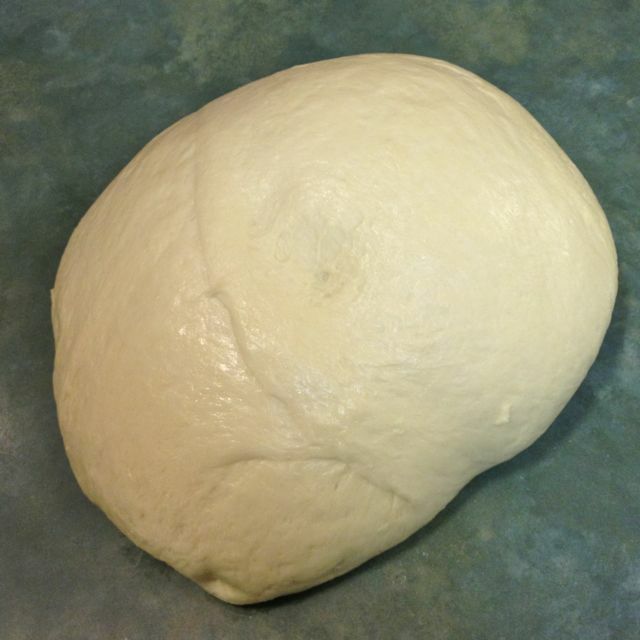 Put the dough in a greased bowl, covered, to rise in a warm place. 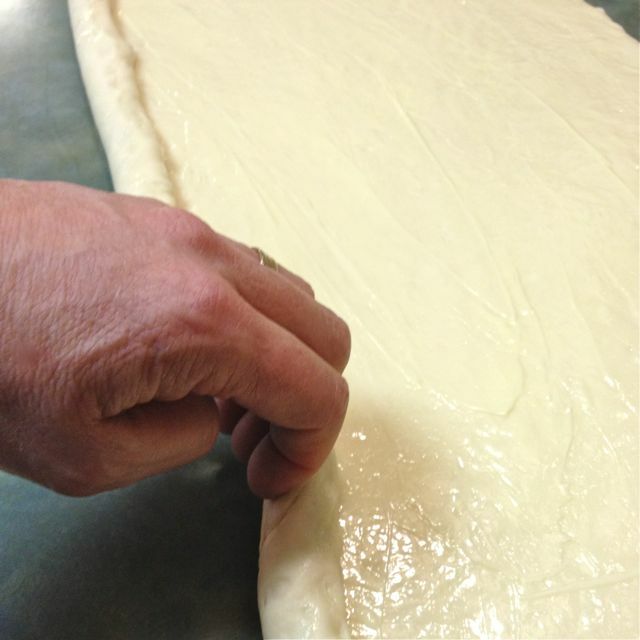 When it has doubled, about an hour depending on the room temperature, punch it down and put the ball on an un-floured counter for rolling. 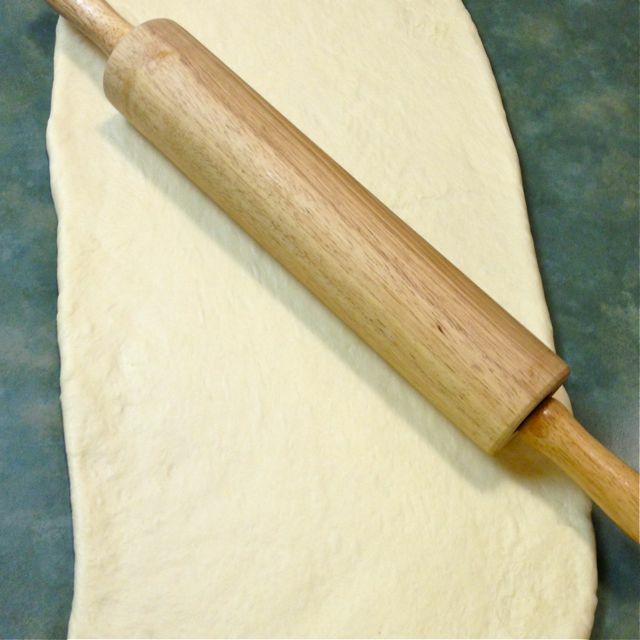 Using a rolling pin, roll the dough into a rectangle, about 10” x 20”. 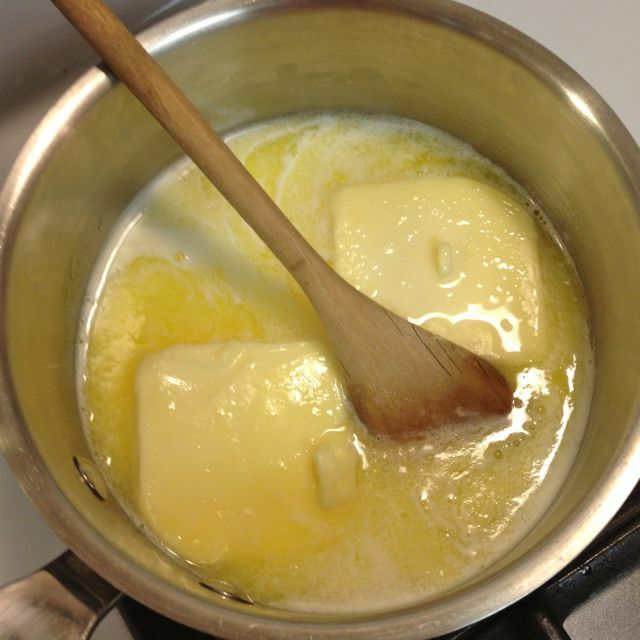 Once it is an even looking shape, spread it with the softened butter. You can soften it by putting it in a microwave at 50% power for 10 seconds. 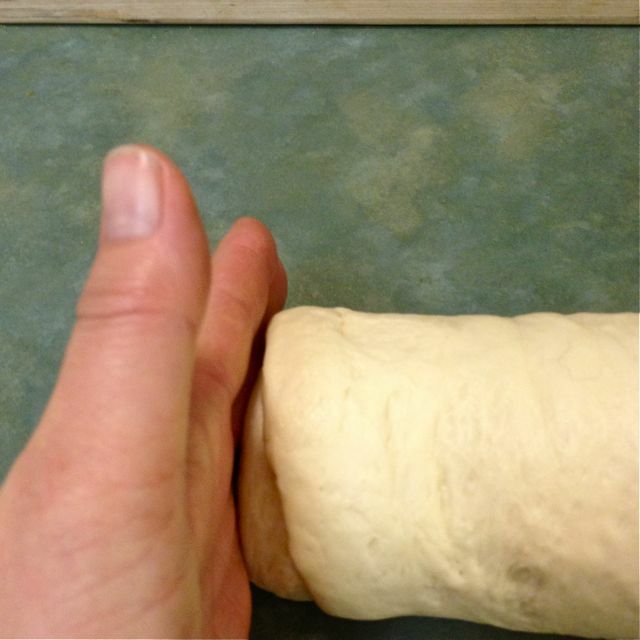 Starting on a long side, roll the dough into a long cylinder. Cut into 16 equal pieces. Cut through the center first, then each half into two, then each quarter into two, then each eighth into two. Try to keep the widths of the rolls even. Tuck the end of each roll under, so they’ll stay put together while baking. 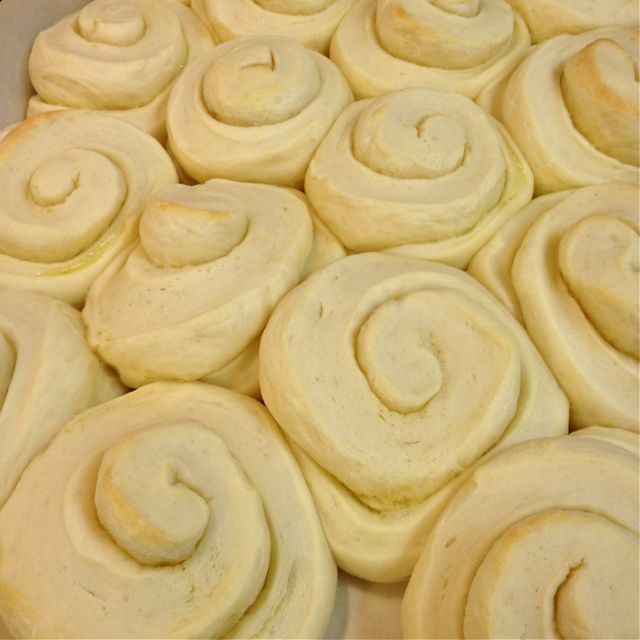 Place the rolls onto a parchment lined baking sheet (or two). The rolls should not be touching each other before baking.Preheat the oven to 350° with the rack in the center of the oven. Let the rolls rise while your oven preheats, for about 15 minutes. 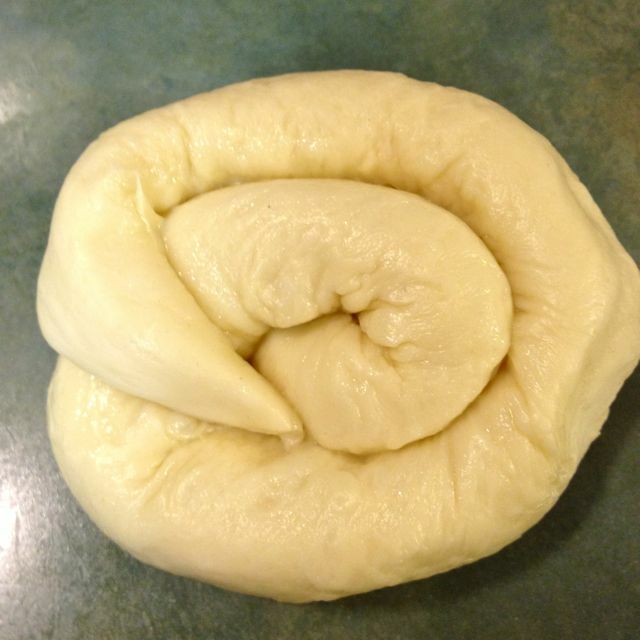 Bake the rolls for 15 – 20 minutes. Check at 15 minutes to see if they’re done. They should just be starting to turn golden on some of the tops. Give them a little extra time if you think they need it. 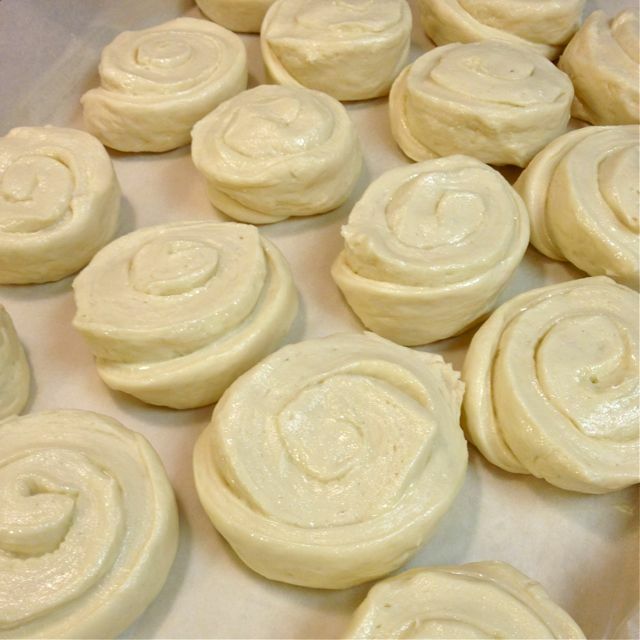 They shouldn’t be too firm; the doughiness is part of their charm. While they are cooling, make the icing. Beat the butter until creamy; adding in the vanilla while beating. Add in the milk and icing sugar alternatively, until you have a fluffy, uniform icing. Ice the Butterhorns, and finish by sprinkling with the chopped pecans. 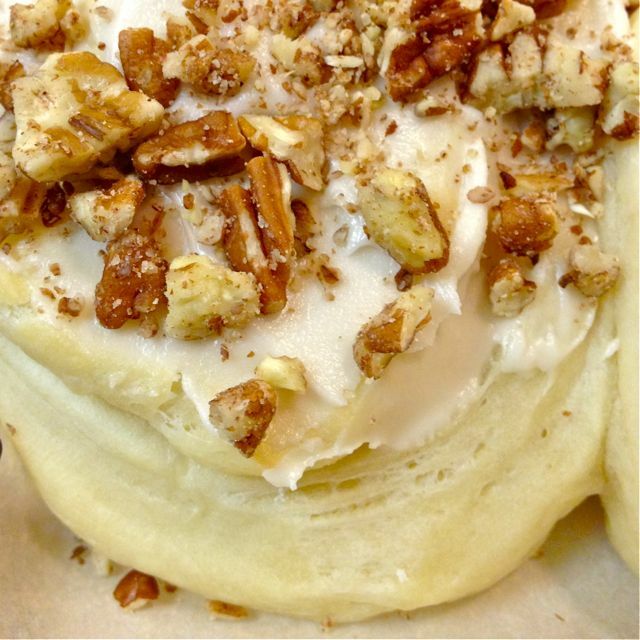 Press the nuts lightly into the icing. Do ahead. 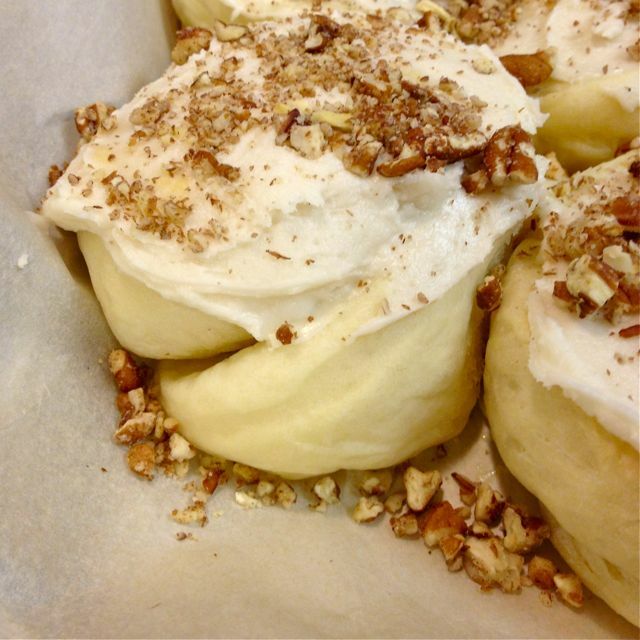 The baked Butterhorns freeze beautifully. Let thaw completely, then ice and top with nuts to finish and serve. I am always so scared to bake anything because it looks so hard, I have to tell you I have made three batches in 5 days! Not only are they easy but sooooooo soooooo yummy!!!! Thank you!!! Confidence in baking usually helps give good results. Practice builds confidence ~ enjoy!